In the meantime, why not try some of these ideas. Most are free, so what have you got to lose? We’ve arranged them into sections so you can pick one at a time. Before you start, a word of warning. Don’t try all of these ideas together. Pick one or two that you feel comfortable with and suit your niche. Then evaluate your results. In time, this will allow you to create a documented promotional process you can follow for every post you publish. The result? More eyeballs on every blog post you publish! Part 1 is all about getting your website and content in tip-top condition to give you the best possible chance of success. In this section, you’ll learn about the essential elements you need to have in place to ensure your WordPress site is running smoothly. Selecting a reliable web host should not be taken lightly. If you choose a poor web host (and there are plenty of them around), then you’ll suffer setbacks and frustrations. And, more importantly, if your visitors have a miserable experience, then they’ll move on to another site. Nobody likes hanging around for a slow loading website. Plus, Google favors fast loading sites. Even if you have good hosting, there are still a few tweaks you can make. For instance, WPX Hosting recommends using the W3 Cache plugin to make your web pages load faster. WordPress is the most popular blogging platform, and with so many sites to target, it’s highly desirable for hackers. If you don’t put some security measures in place, you will get attacked at some point. Depending on your hosting service, you might already have robust security measures in place. However, if you don’t, then there are a couple of security plugins we recommend. There are thousands of WordPress themes to choose from, including all the free themes in the WordPress repository. The only drawback with some free themes is that the developers neglect them and they become outdated. That said, some premium themes get abandoned, too. The main thing is to choose a mobile-friendly theme that suits the aims of your blog, looks good, and loads fast. We’ve already mentioned some WordPress plugins, and we’ll suggest more along the way because they’re an integral part of WordPress. Our advice here is simple: only use plugins from a trusted source. A rogue plugin could ruin your site. Don’t be intimidated by the heading. You need to know that for your blog to be successful it needs to be findable. And the way that happens is through Google and other search engines being able to crawl and index your site via a Robots.txt file. You can create your own or, guess what, use a plugin to help you. Internal links – When you publish new content on your blog think about existing posts and pages you could link to. And also, think about existing posts and pages that could link to your new content. Broken links – Unfortunately, internal and external links don’t last forever – URLs change, content gets moved around, and sites disappear. So you need to make time to find and fix your broken links. Redirects – Sometimes you need to change the URL of your pages or domain. WordPress sometimes implements redirects but they’re not always reliable. Instead you could use the free Redirection plugin. But, from a performance perspective it is worth adding redirects manually if you’re comfortable doing it. Analytics Tools are essential for any blog. They’ll help you understand how people are interacting with your website. If you’re going to spend time creating and promoting your content, you’ll want to know which content is most popular and what promotion method drove visitors to your site. Most bloggers use Google Analytics to track their website data, but there are other tools available. In section two, you’ll learn about researching and planning the content for your audience. Before you start producing content for your blog, you need to have a clear idea of your niche, or topic, and the four or five categories that support it. If you choose a topic that nobody is interested in, then you’re going to have a tough time promoting your content. When you’ve finalized your niche, you can start planning what content to produce. Keyword research involves finding the keywords (or search queries) that represent your blog. Once you’ve researched your keywords, you can sort them into topics aligned with your categories above. It’s what Andy Crestodina refers to as Content Hubs. Before you start producing content, you need to consider your audience. Take some time to build a picture (sometimes called an avatar) of who you are writing for and then tailor your content accordingly. Now you have your niche and keyword topics arranged, you should consider what type of content you’re going to produce. We’ve experienced this with our posts at Blogging Wizard. And for infographics, they perform especially well on Pinterest. And Top 10 Lists were popular in print publications long before the web existed. In short, people are fascinated with lists and data-driven graphics. In this section, you’ll discover how to optimize your content on every page before you hit publish. Title – Try to put your keyword at the beginning of your title, if possible. It’s not necessary to have them in every location, (and you certainly shouldn’t force your keyword into those places just for the sake of it), but it will help to optimize your page. Dimensions – Make your images the right size for your blog page. For example, on my blog, I make sure the images are 600px wide, so they fit in with the theme and design. File size – Make sure you compress your image files with a tool like TinyPNG or Kraken before uploading to WordPress. These programs can reduce file sizes by as much as 65% and help to make your blog load and run faster. Alt text – Always add a meaningful description to the Alt Text on your images. This helps visually impaired readers understand what the image relates to, and it also helps search engines index your images. An easy way for people to sign up to your list. A compelling reason to join your list, often referred to as a ‘lead magnet’. 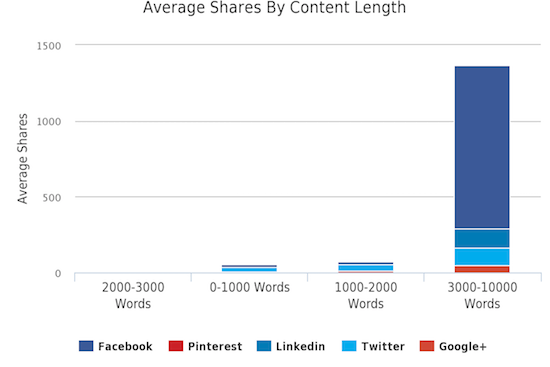 Getting other people to share your content on social media is a bonus for you. As well as having some awesome content to share, you need to prompt users to share it. You can maximize your promotion efforts by placing visually attractive Social Sharing Buttons and Click To Tweet Widgets on your blog with a social sharing plugin. Social Sharing Buttons – You don’t have to include every social network, only those appropriate to your blog. Look to your left to see an example of the buttons we use on Blogging Wizard. There are lots of social sharing plugins for WordPress, so we narrowed the options for you. The headline is the first thing a reader sees, on social media or search results pages, so it has to make an impact. Start with an attention-grabbing headline and then make sure your content stacks up to what you promised. Take your time to create the best headline possible. However, you need to take into account your niche and the goal of your content. 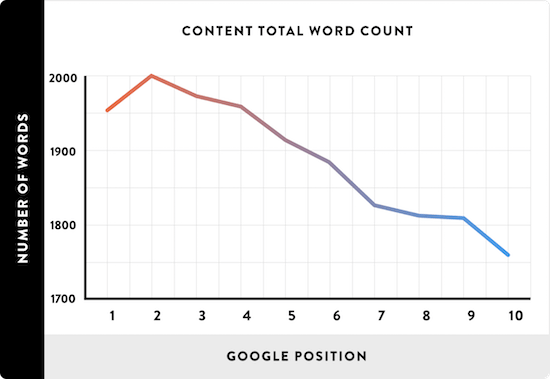 Longer content may appear to perform better but remember, word count only matters when you write quality content – 5,000 words of drivel doesn’t benefit anyone. Your content should be as long as it needs to be to get your point across, in the most effective way possible. You need to make your content easy to consume. Most readers scan web pages, so you need to give them markers to stop them in their tracks and highlight key points using subheadings and bullet points. Users pay attention to information-carrying images that show content that’s relevant to the task at hand. And users ignore purely decorative images that don’t add real content to the page. In Part 2, we’ll take a look at the different ways you can promote each blog post. This is not meant to be an exhaustive checklist that you should follow religiously. Rather it’s a list of ideas you can try, and see which works best for you. Before you start, it’s a good idea to prepare a simple text file with information you can reuse on several platforms. This will speed up the promotion process. URL – start with your standard blog post URL. Headline variations – write out 3-5 headline variations for your post. Short social messages – write out several short social messages for use on Twitter. These can be quotes, questions, or based on headline variations. Longer social messages – write out several slightly longer social messages for use on LinkedIn, Facebook, and Google+, etc. 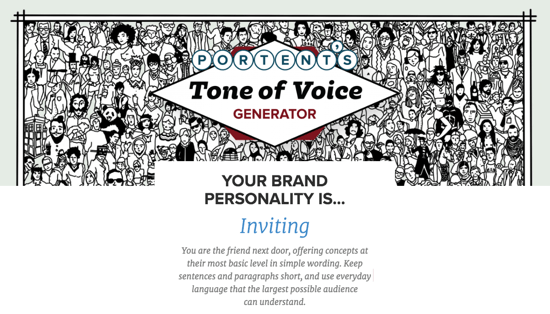 Popular copywriting formulas work well here. Contact information – mentioned a person or brand in the post? Include their contact info – Twitter account, email address, etc. You’ll want to let them know they’ve been mentioned. 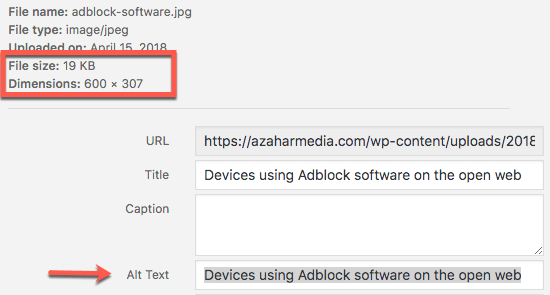 UTM tracking URL’s (optional) – use Google’s Campaign URL Builder to create a tracking link for each platform you promote your article on. This will help you track traffic more accurately. Shortlinks (optional) – tracking links can look messy. Using a shortlink tool like Bitly will tidy them up. It’s still the favorite means of communication for many people, with the number of worldwide users expected to reach 2.9 billion by the end of 2019. In Part 1 we talked about list building. Now it’s time to use that list. Emailing your list of subscribers is one of the best ways to start driving traffic to your latest blog post. But don’t leave it there. Ask them to comment, like, and share it with their community so that you can reach a wider circle of people. And it stands to reason that if someone is already a subscriber, they’ll be more likely to share your content with their followers. Now and then, email your contacts (friends, family, etc.) and ask them to share your latest blog post. You never know how far the ripple effect will spread. Always ask politely and offer to help them in some way. If you use this tactic for every blog post, you’ll lose your contacts! If you have friends and colleagues working in the same or a similar niche, then you could ask them to email their list. Perhaps you could agree to do the same for them in return. But again, don’t do this for every post you publish. Focus on the most relevant social networks for your blog. Engage with people on those platforms including influencers and brands. Participate in social groups to grow your social media reach. Maintain a regular presence on your chosen social networks and post consistently. Don’t just turn up when you have a new blog post to share. Social media is a two-way channel, so engage with other people by liking and sharing their content. Vary the message in your social media posts to suit each network. For example, tools like Blog2Social and Sendible allow you to tailor your posts per network by using a long or short message, adding relevant hashtags or mentions, and selecting a portrait or landscape image. Sendible also offers content recycling so you can continue to promote your content on a regular basis, as well as a social inbox so you can manage replies and engage with your audience. These next social sites all work by reciprocal sharing. You earn ‘credits’ for sharing other people’s content, which then allows you to post your content and get it shared by others. Triberr is a powerful way to promote your blog. Each of your blog posts will be imported automatically (via RSS), but you can edit the import if you wish. For example, you can add your featured blog post image to make your post stand out in the stream. Remember to get engaged with your tribemates and share their content. Viral Content Bee lets bloggers promote their content on Twitter, Facebook, and Pinterest. When you’ve earned enough credits by sharing other people’s content, you can add your post to get it promoted. For best results, connect with and share content from your niche. Social bookmarking sites allow users to post their favorite stories, images, and videos, and use tags to organize them. Other users can take these ‘bookmarks’ and add them to their own collection or share them with even more users. Most of these sites also have a voting system so members can ‘upvote’ their favorite posts, which rise to the top and gain more exposure. Reddit was never intended to be a directory of links like other bookmarking sites. It consists of smaller interest-based communities called subreddits. Some subreddits don’t allow you to share links, in which case you’ll have to write original content for your community. Flipboard is more of a social magazine-style app than a traditional bookmarking site. But you can also create your own magazines by selecting “flip it” to republish posts and share with your followers. Digg is one of the top bookmarking sites. If your blog post is shared and upvoted onto the home page, then you can expect plenty of traffic. Sharing your content in niche-specific sites will generate more relevant shares and traffic because your content has the right audience. Online communities give you the opportunity to contribute, build relationships, and establish your authority. But, like Reddit, it won’t work if you only drop links. You have to provide more value by getting involved in discussions. Consider creating your own groups on one of these platforms. This will help you develop your online presence further. Facebook is usually the most popular option, but it can take a lot of effort to make your group successful. If you only write a blog post and publish it on your own blog, then you’re missing out. But by leveraging your content, you can get it in front of a larger audience. Some sites allow you to curate your content into lists and collections. For example, if you were in the gardening niche, you could create a topic on ‘Hardy Bi-annuals’ and then save content to it that includes some of your posts. Visitors have access to all content in one place. Creators get their content in front of a larger audience. Content syndication is the process of pushing your blog post, article, video or any piece of web-based content out to other third-parties who will then republish it on their own sites. Best practice is to publish on your blog first, wait a few days (minimum) until Google has indexed your post, and then republish on other platforms like Medium and LinkedIn. Alternatively, you could post a snippet or a taster of your post on the syndication sites with a link to your full article. Either way, it’s an opportunity to get your content in front of a larger audience. Best practice is to add something called a rel=”canonical” tag to the republished piece of content. A canonical tag is a piece of code (metadata) that includes a link to the original piece of content. 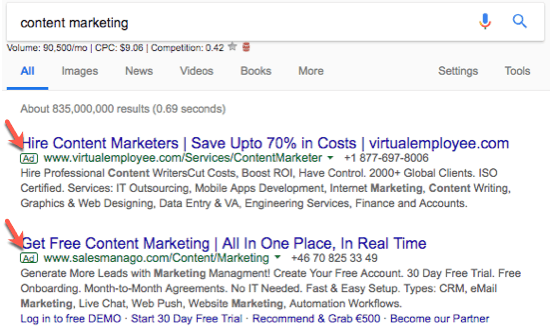 This helps Google to understand which website originally published a piece of content. If that’s not possible, it’s recommended to link back to your original content from the re-published version. But, Google doesn’t always rank the website that originally publishes a piece of content – even if they know who originally published it. They typically rank the website they “think” visitors prefer to read on. Or in some cases, the more authoritative website. For this reason, you may be best only syndicating content that isn’t targeting any specific keywords, or a snippet of your content. Content repurposing is all about turning your initial blog post into another format like an infographic, a video, a podcast or a Slideshare presentation. For example, Adam turned his Expert Interview blog post – How To Stand Out Online: 43 Experts Share Their Top Tips – into an Infographic. What’s more, he published the infographic on another site so he could reach an even wider audience. The initial blog post had over 5,000 visits and 2,000 social shares, while the infographic has brought in an additional 35,000+ visitors. 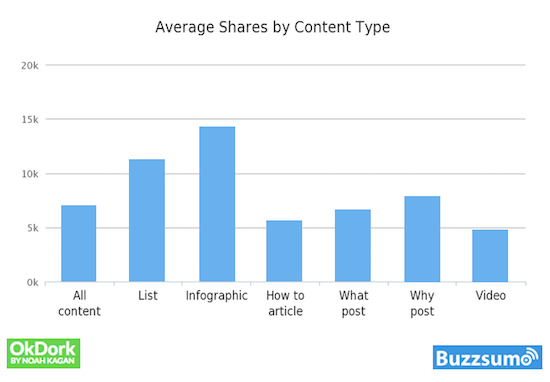 For more, be sure to check out our in-depth content repurposing guide. Running a blog is doomed to failure if you try to do everything on your own. There’s a whole blogosphere out there that you can tap into. All it takes is for you to build relationships with the right people. And like any relationship, that means you need to give and take. In this section, you’ll learn how to promote your content with the help of other people. Influencer marketing involves connecting with and asking individuals that influence your target audience to help promote your content rather than trying to reach that audience on your own. There’s no better way of letting an influencer know how much you value their work than by including a relevant link to them in your blog post. And as long as it’s high-quality content, they’ll be more than happy to share it with their audience, which will undoubtedly be more extensive than yours. Taking it one step further, why not ask an influential blogger for a quote or two in your new blog post. It’s a great way to add some unique content to your post that differentiates it from others. If you ask politely, most bloggers will be happy to oblige. And, again, when it’s published, they’ll share it with their followers. Along the way, the emphasis switched to getting as many experts as possible involved so that the blog post would get shared by more people. You don’t have to do that. Go for quality rather than quantity and conduct a group interview with five to seven influencers who can add real value to your post and share it with their audience. Blogger outreach is where you (as a blogger yourself or business owner), reach out to other bloggers to ask them to promote something or to guest post on their blog. Influencer marketing is when you reach out to people with a good number of followers to promote your content, product, or website to their followers. Blogger outreach is one of the most effective ways to promote your content, but there’s a right way and a wrong way to conduct your outreach. Guest Blogging is still one of the most effective ways to promote your blog. The key to making it work is to write your best content on relevant blogs in your niche that have a high volume of followers and subscribers. Include a link in your author bio to a landing page on your site where visitors can get an exclusive download or find more about your services. You may not see overnight traffic flooding back to your website. But it’s still a good way of building your authority and becoming recognized in your niche. When you start commenting on the top blogs in your niche, you’ll get the attention of other commenters and the blog owner. If your comment is useful, then other readers will go and check out your blog. And, ultimately, you might even get an invitation from the blog owner to write a guest post. But, more than anything this is about relationship building – some great connections and friendships can come out of it as a result. It’s those friendships and connections that will help you promote your content better in future. Just be sure to avoid dropping links to your content within comment itself. So far, we’ve used ‘free’ blog promotion tactics that have only consumed your time. But there are some paid alternatives to promoting your content, so let’s take a look at a few options. As social media organic (non-paid) reach declines, you may want to consider paid advertising. Researchers predict that spending on social media advertising will reach $31 million by 2019. Quuu Promote allows content creators to submit their content into the Quuu content curation system. Once the content is approved, it’s shared by other business owners on social media. Promotion costs vary depending on the content category. Reddit is one of the biggest online communities, with an estimated 17 million monthly users. Its advertising costs are cheaper than traditional social sites. Check out Nate Shivar’s guide on how to advertise on Reddit. 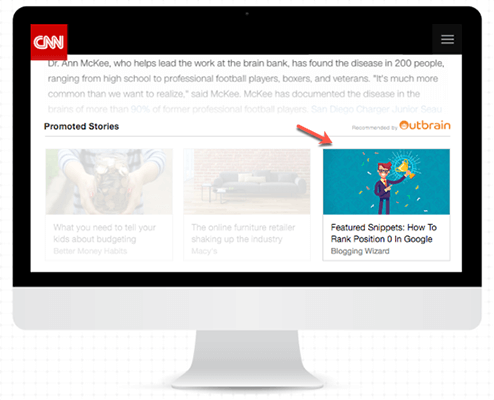 Content discovery platforms – sometimes called Native Advertising – like Outbrain and Taboola provide another option to promote your content. The native ads are designed to look and feel like they belong on the publisher’s website. They usually appear at the end of an article presented as: “You May Like”, “Recommended For You” or “Promoted Stories”. How do you know which blog promotion strategies work? By measuring results. Way back in Part 1 we mentioned installing and using some web analytics tools. Now’s the time to see what data they have for you. Whichever web analytics tool you use there’s going to be a lot of data to work through. Traffic ends up in these various channels according to rules defined here. For a better understanding of channels, I recommend reading this article. Organic Search – Visitors who come to your website from search engines; e.g. Google and Bing. Direct – Visitors who come to your website without a traceable referral source; e.g. after typing your URL into their address bar or using a bookmark on their browser. Social – Visitors who come to your website from a social network; e.g. Facebook, Twitter, etc. Referral – Visitors who come to your website from another website by clicking on a link. Other – Visitors from traffic sources where the UTM_Medium parameter is incorrect. Email – Visitors who come to your website after clicking links in your email marketing campaigns. 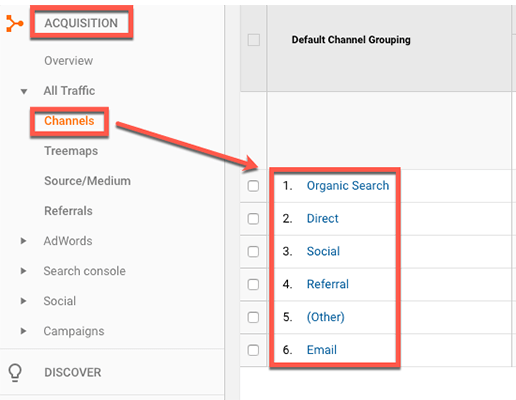 Bottom line, Google Analytics is only as good as the data going in. So if you want to track your data diligently, then you need to build your tracking parameters correctly on all the links you can control. As well as web analytics tools you can use social media monitoring tools to check how your blog posts are performing. Google Analytics is not brilliant at tracking social media. But there are plenty of other tools available so you can see which platform is best for promoting your blog content. 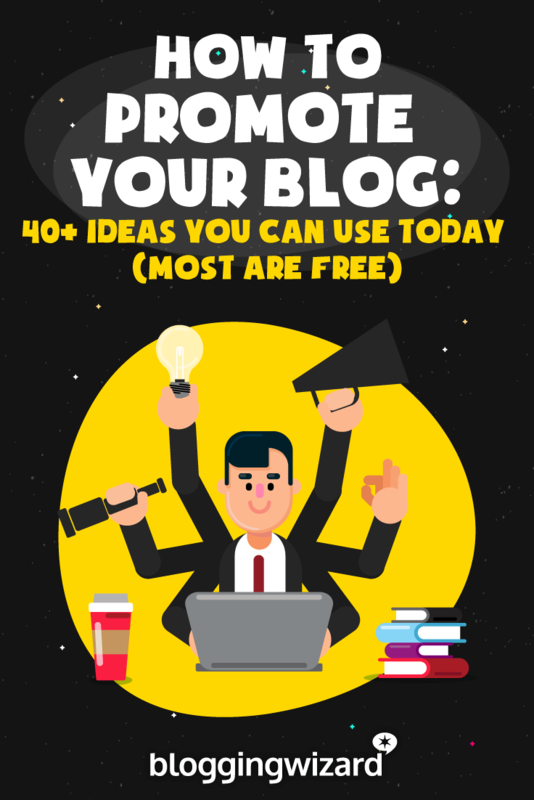 With so many blog promotion tactics listed here, it’s impossible to use them all at once. Start off with one or two strategies and see what works best. Then try adding another one. And then another. Until you find works for you. It might be that one tactic works for one blog post and a different tactic works for another, depending on your content and audience. Try not to be too hasty when eliminating a strategy as some might take longer to work than others. Eventually, you can collate everything that works into a solid content promotion process. You can then use this process to get more traffic to each post you publish.